This badge was issued to JUNIBETH DEL VALLE SALAZAR on 12 Sep 2017. 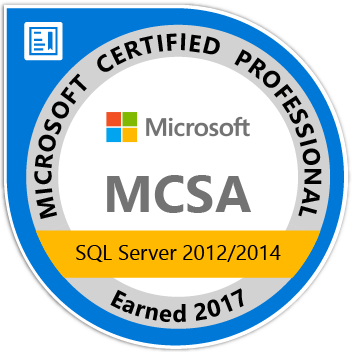 Earners of the MCSA: SQL Server 2012/2014 certification have demonstrated the skills required to develop and maintain the next wave of mission-critical environments. They are qualified for a position as a database developer or database analyst.